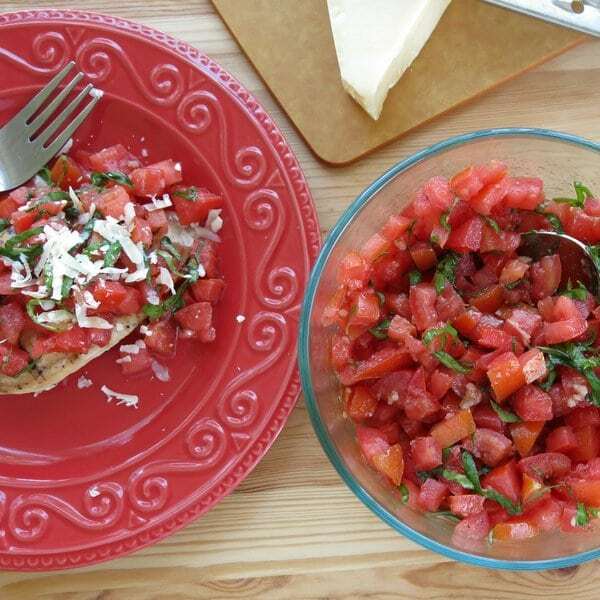 This recipe for Gluten-Free Chicken Bruschetta is part of the #CookItGF social shopper amplification hosted by #CollectiveBias and its advertiser. The post and opinions are entirely my own. 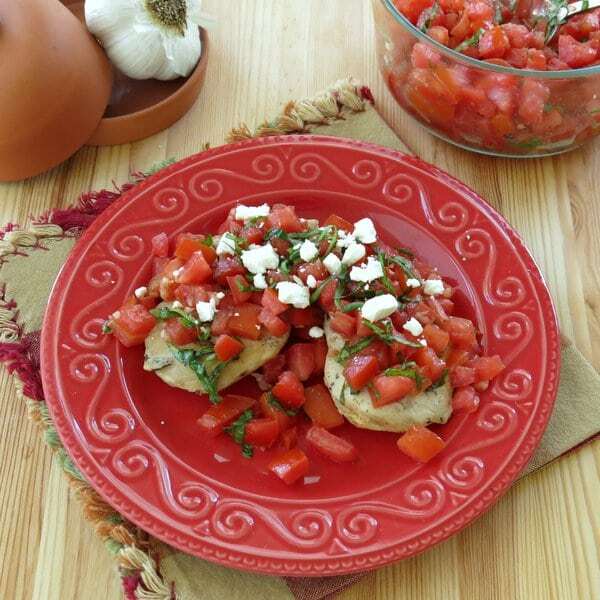 This gorgeous gluten-free Chicken Bruschetta is ready in less than 30 minutes! Juicy grilled chicken is literally smothered with tomatoes that have been bathed in olive oil, balsamic vinegar, garlic and fresh basil. Top if off with your favorite cheese, such as feta, Parmesan, mozzarella or make it dairy-free and add nothing at all. The grill marks aren’t for looks. It has a nice grilled flavor that I’ve enjoyed diced in a salad and in a rice bowl. 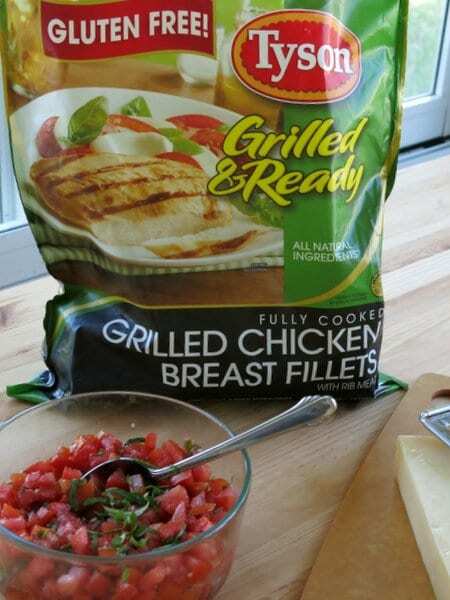 Cooked chicken would speed up the preparation of Alice Springs Chicken, Monterey Chicken and Mediterranean Chicken Bake too, which all happen to be gluten-free. For more gluten-free recipes check out the Club Tyson Facebook Page. I love how the fresh tomato medley perfectly complements the grilled chicken. It’s the perfect combination of fresh and frozen. I used Roma tomatoes. But, another option would be quartered cherry or grape tomatoes. If you happen to have leftovers, dice the chicken and stir the tomato and chicken into some rice or quinoa…rice bowls for lunch anyone? Yes…I’m on a rice bowl kick these days. 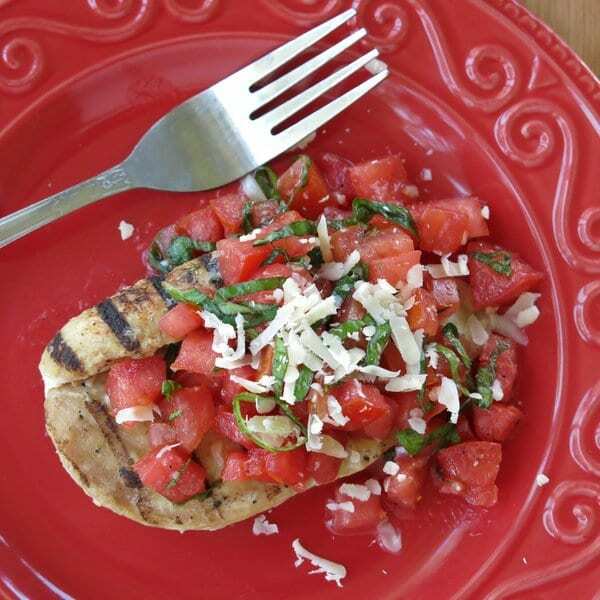 Use grilled and ready chicken to make this gluten-free chicken bruschetta come together in under 30 minutes. It's a low-carb recipe too! Mix together in a medium-sized bowl all of the ingredients, except for the chicken and cheese. Allow tomato mixture to blend while preparing chicken. Heat chicken in microwave or oven according to package directions. Spoon bruschetta over chicken and top with favorite cheese. Use low-fat cheese to keep the recipe South Beach Diet Phase 1 compliant. What a delicious looking recipe, I know I would love this, a must make!! Thanks Tara! 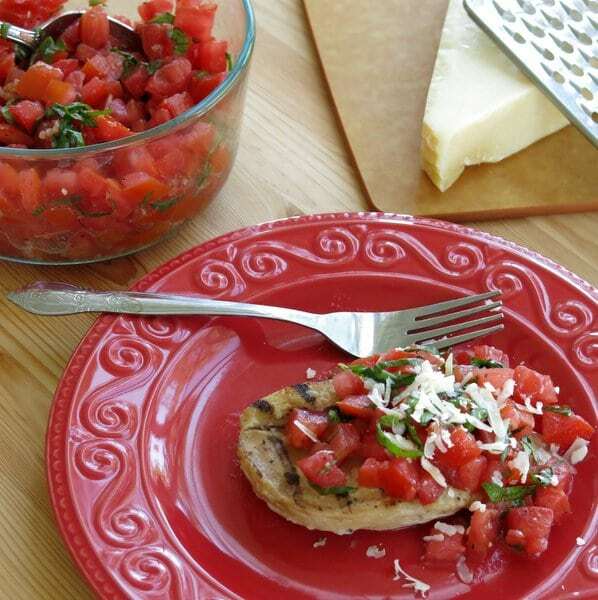 Fresh bruschetta is always a good idea! Thanks! 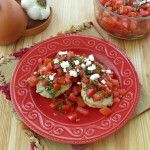 Bruschetta is such an easy fresh recipe. I topped the green beans I served with this too! This would make a tasty appetizer!